Neo has recently begun to sell home cooked healthy food at Tranmere Rovers Football Club on home match days. home cooked option on match days. 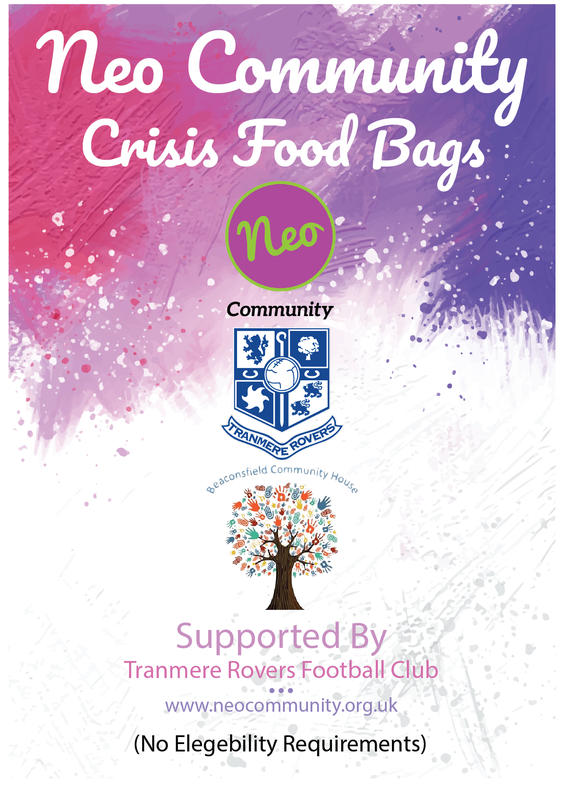 We also collect food items from the general public at all of the Tranmere home matches to give out in our crisis bags.